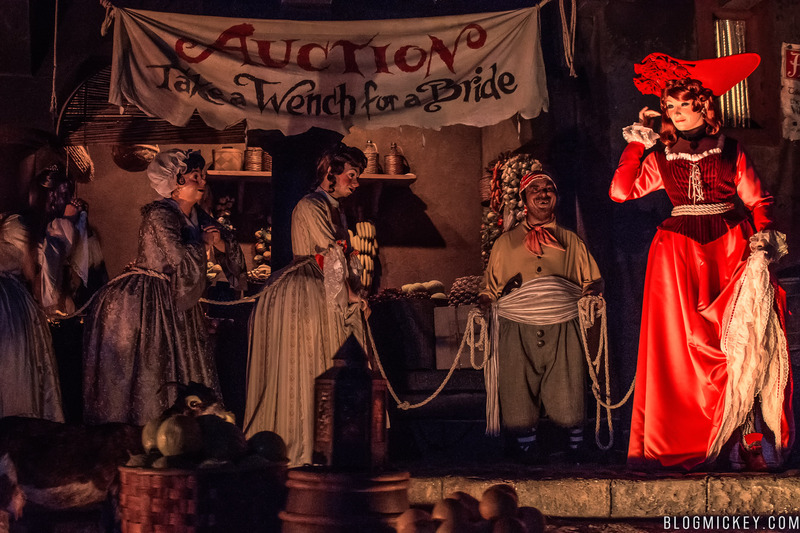 Yesterday marked the last day of operation for the iconic Redhead auction scene in Pirates of the Caribbean. 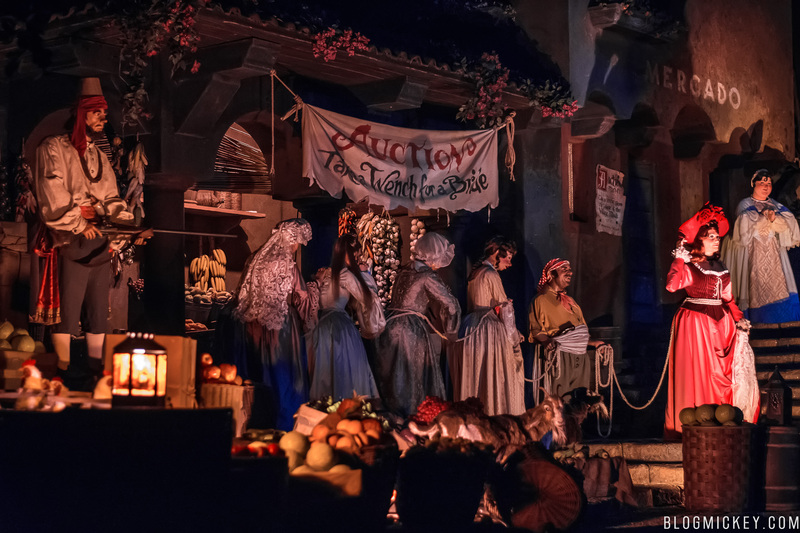 Announced back in June of last year, Disney is changing the whole auctioneer scene from that of selling wenches to that of selling stolen goods. 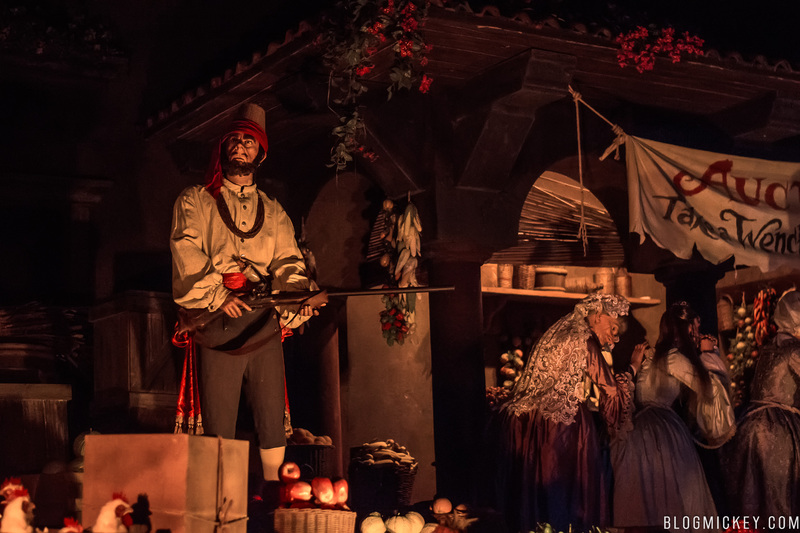 Additionally, the Redhead will now become a pirate, according to concept art. 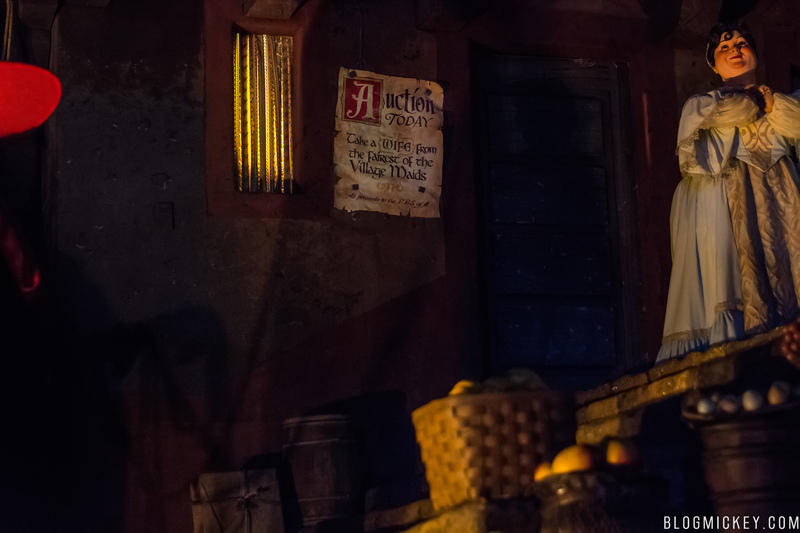 Here’s our farewell video and photos of the scene. 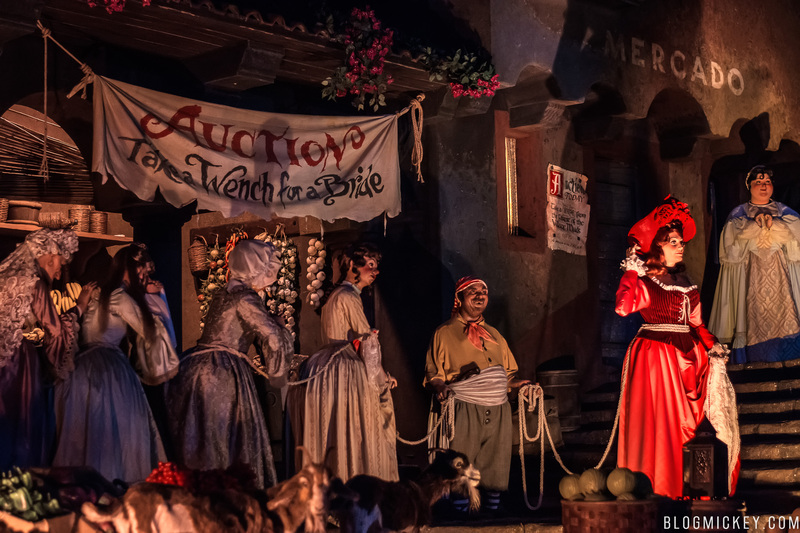 Hundreds of guests came out last night to be amongst the last to experience the iconic scene. 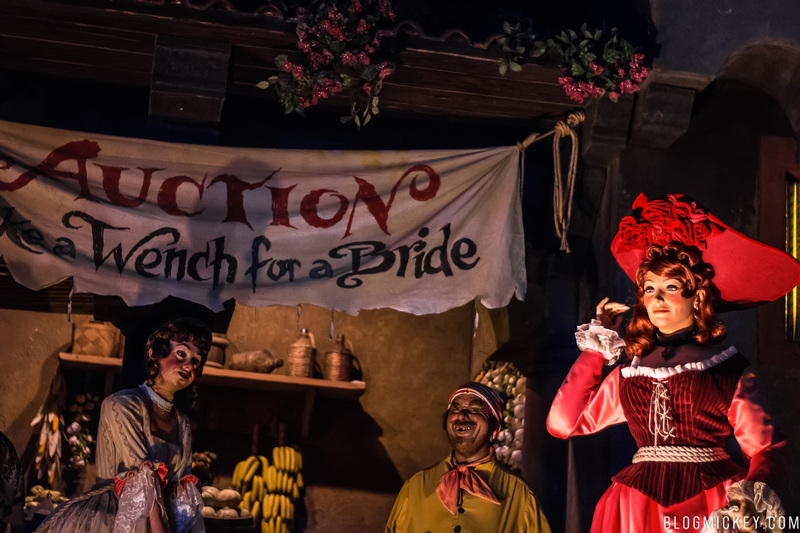 We were lucky enough to be the last boat through the attraction. 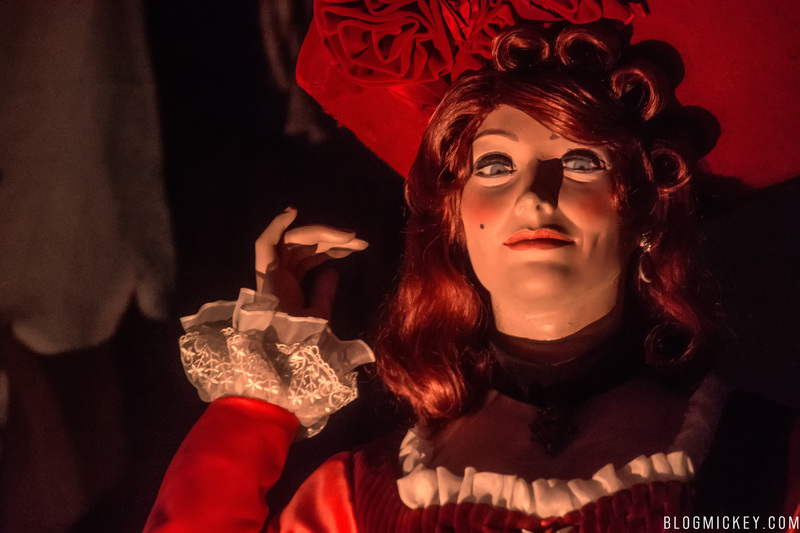 Here’s our video of the final performance of the Redhead as imagined by Walt Disney and Marc Davis.